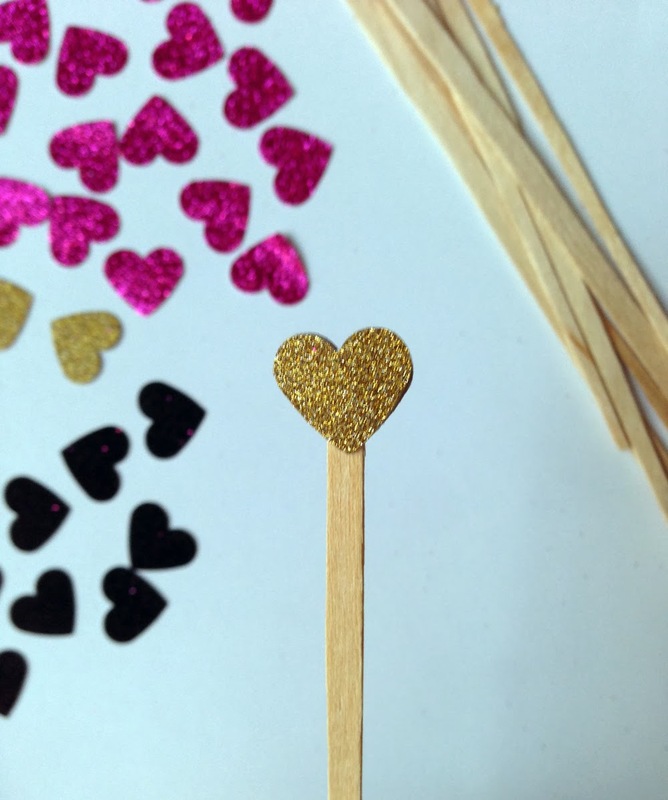 Today I'm going to show you how to make a very simple DIY project: glitter heart swizzle sticks! 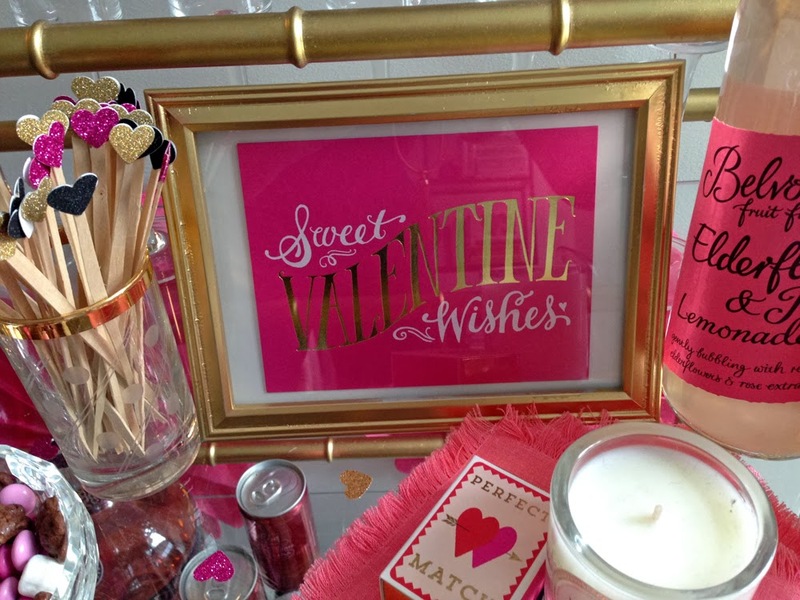 You may recognize these from my Valentine's Day bar cart design that I shared yesterday. 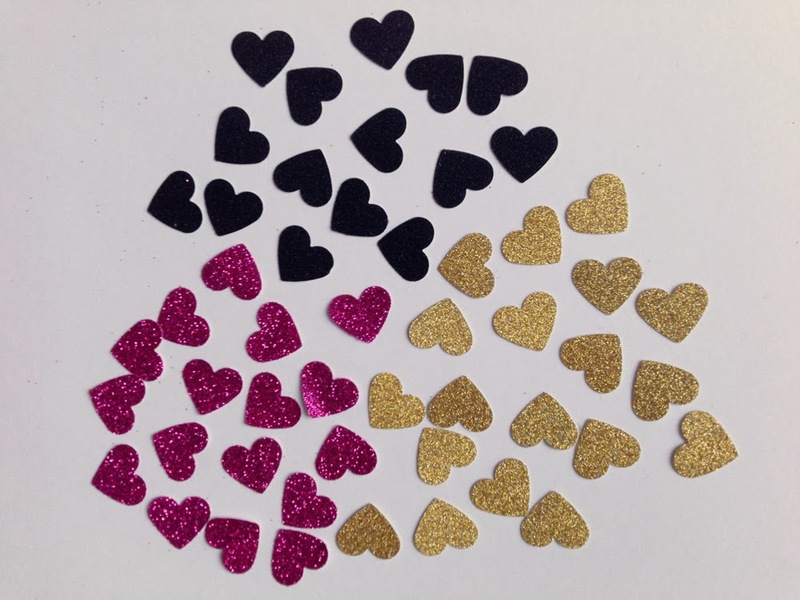 Punch out several glitter hearts - you'll need 2 per stick. Then coat the back of one heart in glue, making sure to cover most if not all of the heart. 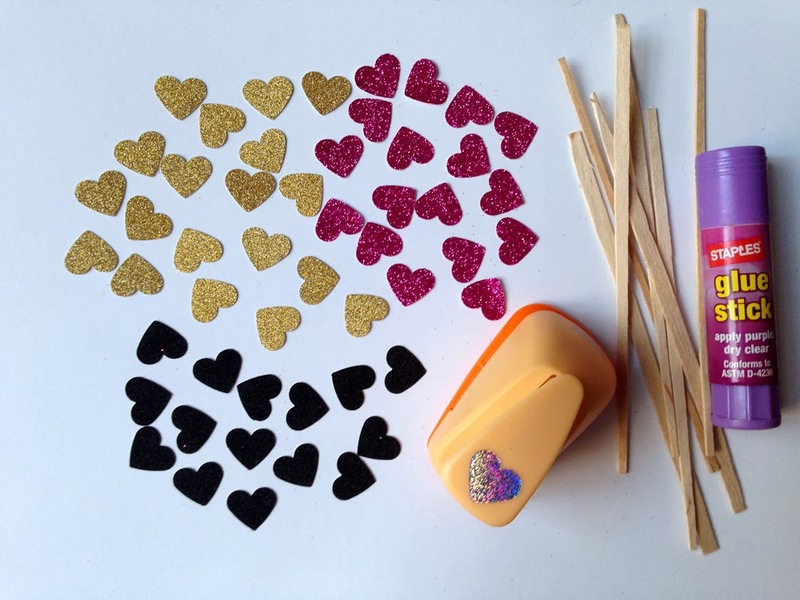 Press the stick onto the heart, like pictured above. 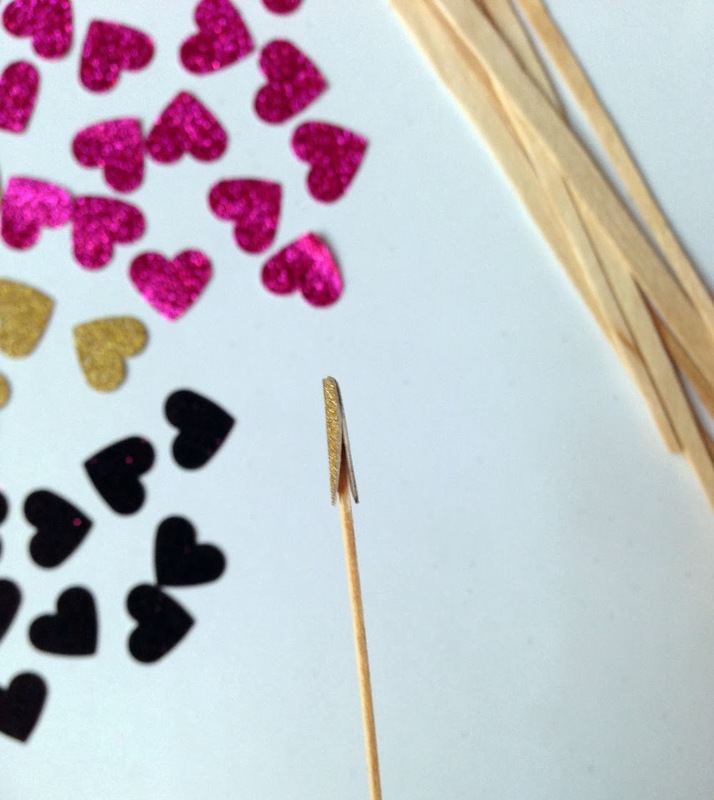 Press the second heart onto the other side of the stick. You shouldn't need anymore glue if you coated most of the first heart. Press both sides of the heart together firmly, and move slightly if needed so that they line up. Set aside to dry. And that's it! 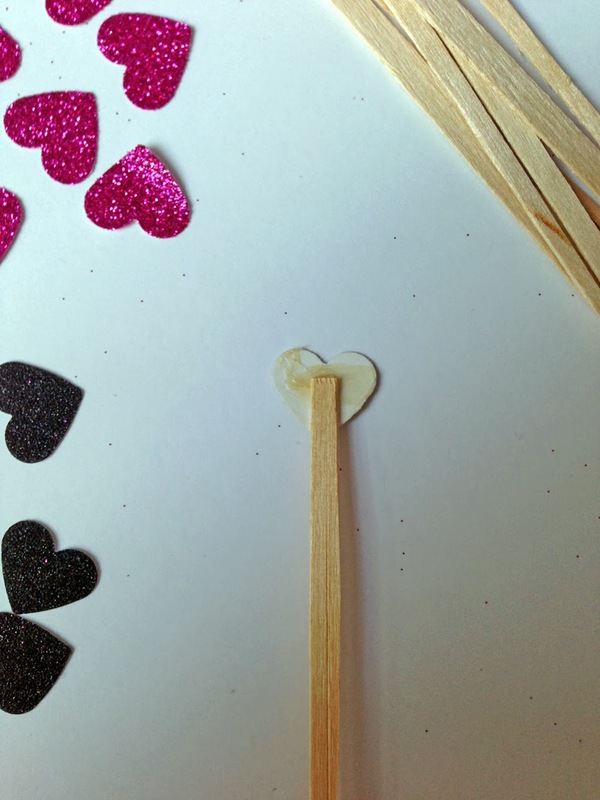 For more fun Valentine's ideas, check out my Valentine's Day board on Pinterest. I've been pinning like crazy!